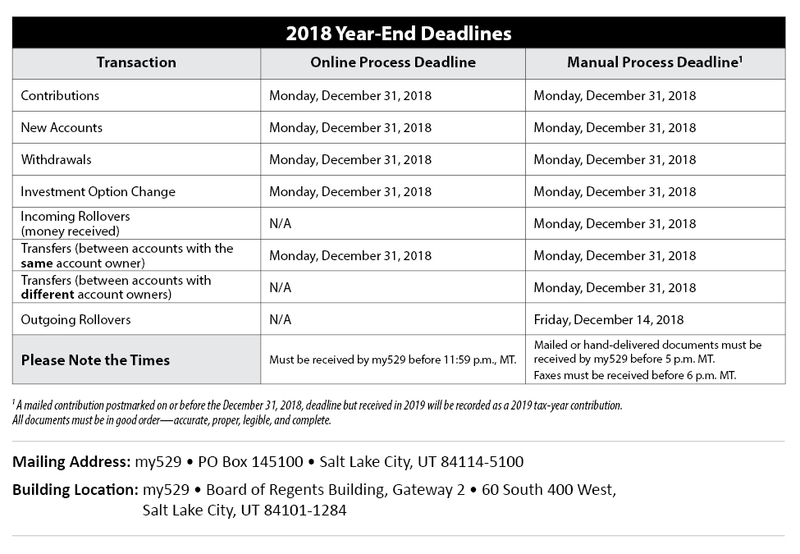 my529 will record tax-year transactions based on the deadlines listed below. As deadlines near, our staff may reach out directly to account owners if there are any problems with a form related to a transaction. Early next year, we will email a visual summary of your clients’ my529 accounts for which you have been granted LPOA authorization. The summary may be helpful with your year-end reporting. It will illustrate assets under management, number of accounts, average account balance, and other important details.